At the heart of VoiceJam is a powerful audio looper. An audio looper works by recording sounds you make while playing them back in a repeating loop. The cool thing is that as the loop repeats, you can keep layering new sound on top of it. You can harmonize yourself, add rhythms with your voice, record the sounds of random objects in your life — the possibilities are endless. That’s just the beginning. VoiceJam was designed from the ground up to be a live performance tool. You’ll be able to perform and record an entire masterpiece from scratch, using only the sounds you can create with your voice or with the objects in your world. – Universal App with iPhone, iPod Touch, and iPad HD support. – In-App Purchase of Vocal FX Emulated from TC-Helicon’s wide range of professional hardware vocal processors. – On-the-fly performance and composition features like advanced looping with undo, reverse, 2x, loop mixing, and instant re-triggering. All features can be used live without stopping the action. – Entire performances can be shared online with high definition SoundCloud uploading. 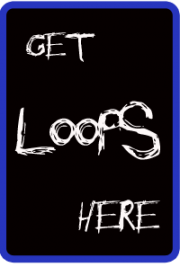 Loops can be transferred to and from any 3rd party App that supports the AudioCopyPaste open standard. – Get started right away with an easy to follow audio tutorial, stepping you through all the important features. 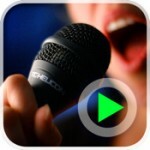 What if you could create something musically amazing with just your voice? What if you didn’t need musical instruments, sheet music, or complicated recording software? What if you could create an entire song with your voice, simulating bass lines, melodies, rhythms and sound effects, all in one pass, without ever stopping to think about it? If you answered “that would be freaking amazing”, then you need to download VoiceJam. VoiceJam is your access to performing, creating, and sharing amazing musical compositions.